Tsubaki and Mikoto have been "together" for a month now. This strange relationship prompts Tsubaki to go to his friends for help. Is this really all it is? Tsubaki catches Ueno and Oka kissing, and Ueno begs him to keep it a secret. Now all he can think about it kissing Urabe, but can he before Ogata steals her away? After an interesting conversation about first names with Oka, Tsubaki decides he wants to call Urabe by her first name. Later, the girl in his picture stops to talk to him and asks him a surprising question. The school is hosting a sporting event, but Tsubaki is stuck at home due to illness. Urabe visits him in hopes of making him feel better. 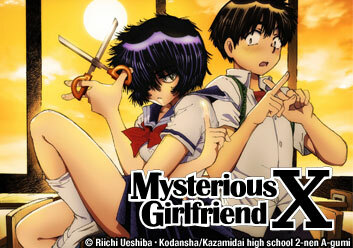 A new haircut sends Urabe's popularity soaring. Tsubaki is infuriated and jealous, as his possessive nature begins to show. Few things are as awkward as running into an ex-girlfriend, and that's exactly what happens to Tsubaki. After the obligatory small talk, his old flame asks if there is a new woman in his life, and he hesitates to answer. Tsubaki pretends to be Hayakawa's boyfriend, and Ueno and Oka show up at the festival.